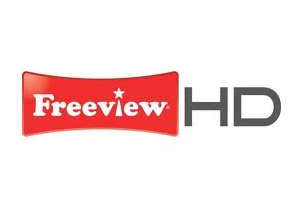 Extra Freeview HD channels are becoming available to viewers in the Aberdeen area following the roll-out of an extra digital multiplex of channels from the Durris transmitter. During the 20th May, multiplex operator Arqiva is due to switch on the extra channels, which include BBC Four HD (channel 106), BBC News HD (channel 107) and Al Jazeera English HD (channel 108). The channels are available on devices in the Aberdeen area that can already receive HD channels 101-105, and in households where the full range of Freeview standard definition channels are already available. Viewers who have the appropriate equipment* can either do a full retune, or just manually tune in the extra multiplex of channels on UHF channel 32. Official retuning information can be found on the Digital UK website. *The extra HD channels will also be available on YouView boxes. The effective radiated transmission power (ERP) is due to be 14.46 kiloWatts (kW), significantly lower than the power used for the other Freeview services from Durris, but more than the 13.8 kW ERP quoted late last year. The launch of the extra channels is the latest in the roll-out of multiplex "COM7", which started in cities including London, Hull and Manchester at the end of November 2013. The roll-out is due to conclude next month, when 70% of UK households will live in an area served by the extra services. In April, coverage reached 68% of UK households, with the roll-out in the Aberdeen area being followed next week by launches in Sheffield and North East Wales and the final roll-out in parts of southern Devon and Cornwall, Kilmarnock, The Potteries, Tayside, Tyneside to follow soon (dates to be confirmed).